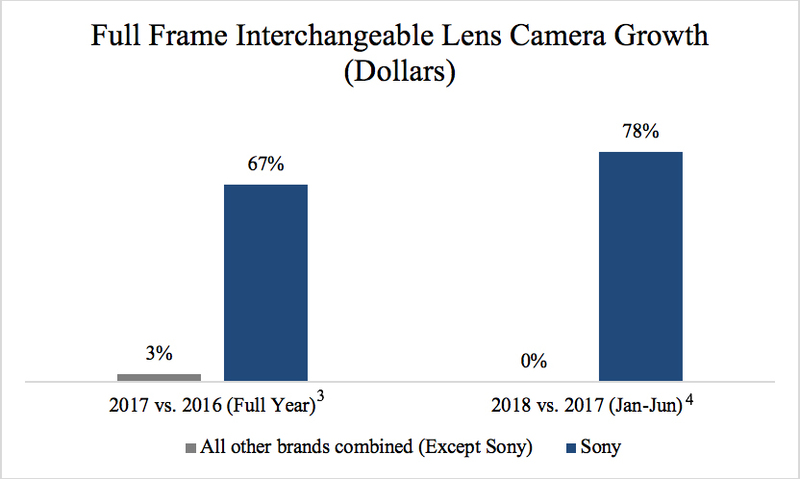 Sony claims they are now number one in the USA Full Frame market….will it last? Seems like Sony is eager to counterattack the Nikon FF mirrorless launch press coverage. Today they announced that they are now number one in the USA Full Frame camera market. Based on dollar and unit sales between Jan. – June 2018 they lead ahead of Canon and Nikon. But will it last? Both Canon and Nikon will answer soon. And as we have seen on the Japanese market even a not so perfect EOS-M50 was able to take over the mirrorless market lead pretty quickly! Much of Sony’s recent success has been driven by sales of the acclaimed ?7R III and ?7 III models, as well as the rapid adoption of the ?9 camera amongst professional sports photographers and photojournalists. The brand’s extremely active community has played a major part as well, as evidenced by the strong engagement on key social platforms like Instagram, where the official @SonyAlpha page has just surpassed the coveted one million followers count. A variety of additional stories and exciting new content shot with Sony products can be found at www.alphauniverse.com, Sony’s community site built to educate, inspire and showcase all fans and customers of the Sony ? brand.